If you are the parent of a young child, you might have noticed that in recent years head lice seem to be more prevalent. Well, that’s true, and unfortunately, it gets worse: they’re also getting harder to treat and permanently remove. Like many insects, there’s an increase in resilience over time that makes head lice more prevalent and problematic. We’re going to discuss why, and want all parents to remember that at Lice Lifters Treatment Center, we offer the most thorough lice and nit removal treatment with a one-time guarantee! The name “super lice” may sound like a silly name for this newer strain, but we promise that this kind of head lice is far from it. This classification redefines what these pests are: super lice are mutated lice that have become ultra-resistant to the strong pesticides found in chemical-based lice treatments. As of 2016, 48 states have been tested for super lice, Texas included. They are responsible for the discomfort of children and are unresponsive to treatments that were once surefire methods for removal. Both over-the-counter and do-it-yourself methods for lice removal are no longer viable solutions to taking care of lice and nits thanks to super lice. Have you heard of people using mayonnaise to treat lice? How about petroleum jelly, or olive oil? These are some of the more common “DIY” methods, and all they will do nowadays is suffocate hatched, full-grown lice. They will not do anything about the nits, and when they hatch, you’ll be back at square one. When it comes to over-the-counter chemical treatments, you’ll also want to avoid their heavy chemicals and pesticides. Children shouldn’t have these “treatments” anywhere near their sensitive scalps, especially since they will not work anyways. Little kids often like being affectionate; they love to hug each other and hold hands. Meanwhile, older kids like to share clothes and hair brushes with their friends. Actions like these allow pesky insects to hop from person to person. They lay eggs and multiply at a rapid rate, and treatment will need to happen as soon as possible. The best advice for parents, especially for their younger children, is to teach them about lice early on – this will make them more aware and hopefully take extra precaution at school! At Lice Lifters Treatment Center, we have created the ultimate treatment that is non-toxic and guaranteed to work. We don’t believe in exposing anyone to anything dangerous like pesticides, especially young children. Remember: we treat people of all ages, not just kids! Contact us today by calling 972-805-1308. We now offer mobile services, so that you can be treated right in the comfort of your own home. As parents, you want nothing more than protect your children from potential dangers. This means learning all about various threats they might encounter on a day-to-day basis. If you have a young child in an early grade level, they are likely at a higher risk of obtaining head lice from a classmate or a school-wide infestation. Lice, while not dangerous, are some of the most frustrating, uncomfortable things to deal with. That’s why it’s important for parents everywhere to know the symptoms that accompany lice, as well as how they should be professionally treated. There are many ways that head lice can spread from person to person. It could be as quick as a hug, or an infestation could be aided when people share clothing, hair brushes, hats, pillows, or blankets. Lice can spread and make a home for themselves in your children’s hair in short periods of time, putting the rest of your home at risk. If you have checked your child’s head and have found live lice and nits, put your hair up and alert the rest of your family members. Avoid sharing any of the aforementioned items above and notify your child’s teacher and school nurse ASAP. You can do so anonymously if you wish. 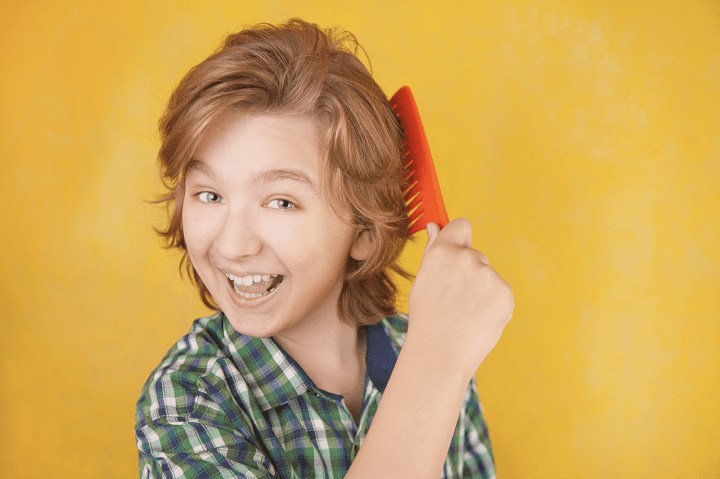 Although you might immediately associate itching with head lice, not every child will feel the urge to scratch when their scalp becomes infested. Many people automatically associate a ferociously itchy scalp with a case of head lice. The discomfort comes from a reaction of the skin from the biting that occurs from with full-grown lice. Just because your child isn’t itching doesn’t mean they are in the clear. You should still check their heads routinely to be sure. Keep an eye out for any scabs on their heads from the biting. If they are experiencing itching or other physical discomforts, or if they seem tired and more irritable, they could not be sleeping well because of lice. If you find that your child has lice, they need to seek professional treatment right away. Over-the-counter methods don’t work anymore, nor do you want them anywhere near your children’s heads. They are full of chemicals and pesticides that can cause chemical burns, and they might not even eradicate the lice for good. In the state of Texas, there have been confirmed cases of a new strain of lice. 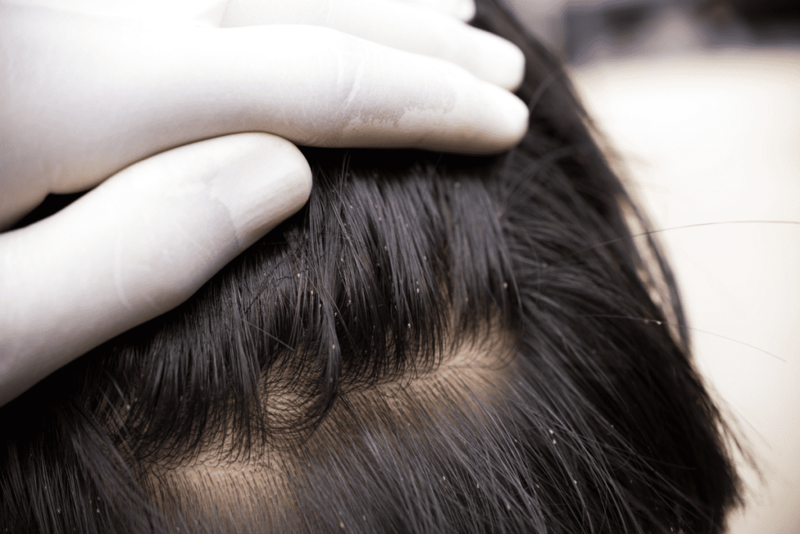 “Super lice” have evolved and mutated to resist the components of over-the-counter treatments that are supposed to eliminate them. The same goes for do-it-yourself methods; mayonnaise is no longer the go-to trick! Things like that will only take care of the live lice, not the nits. If you don’t take care of the nits, you will wind up dealing with a recurring infestation. Parents, we know that lice can be scary, especially if you have never dealt with them before. And we know you just want to protect your kids! That’s why you need to get them professional treatment for lice. To find more information, visit the website of Dallas-Fort Worth Lice Treatment Resource Center today. This past year, we at Lice Lifters Treatment Centers in the Dallas-Fort Worth area launched a groundbreaking new service in the field of head lice removal. Although the concept of offering mobile services is not new, what’s special about this innovation from Lice Lifters is that we can now treat lice cases in children across a larger service area than ever before. Here is how our head lice mobile treatment service is changing the industry one comb out at a time. Young children in the earliest grade levels are the top age group to be affected by lice infestations. Still, we offer our high-quality services to people of any age. With this new mobile lice removal service, we can now serve head lice sufferers in a 50-mile radius. People who have never dealt with lice of any kind, especially parents, often feel at a loss as to what their next steps should be. That’s where we come in! Because we often treat little kids that are in the early grade levels, we are accustomed to them being fearful after finding out that there are tiny bugs on them! Why add to that apprehension by bringing them to a brand new place when we can treat them in the comfort of their own home? You can call us and we will come to any property within a 50-mile radius of our Frisco location, including Highland Park, University Park, Addison, Bluffview, Northwest Dallas and Far North Dallas. That goes for adults, too! If you are embarrassed, we want to offer you the total comfort and peace that comes with not having to leave your house. The Lice Lifters Treatment Centers Difference – and Guarantee! What sets us apart from other lice treatment centers is the fact that we have a total guarantee that you can trust our treatments and their effectiveness. Over-the-counter products contain heavy chemicals and pesticides that do not need to be anywhere near your child’s scalp. That’s why we use a proprietary all-natural product and will perform our thorough comb out before applying it. We promise you that we have full confidence in our product, and if you or your child is treated for lice, you will not have to call us again! We offer fast results and can come straight to your door for your treatment. Schedule your mobile service with Lice Lifters Treatment Centers by calling 972-805-1308.